The EUR/USD currency pair keeps moving inside the “triangle”, the price is testing the pattern’s upper border and one can consider selling the tight stop sales. 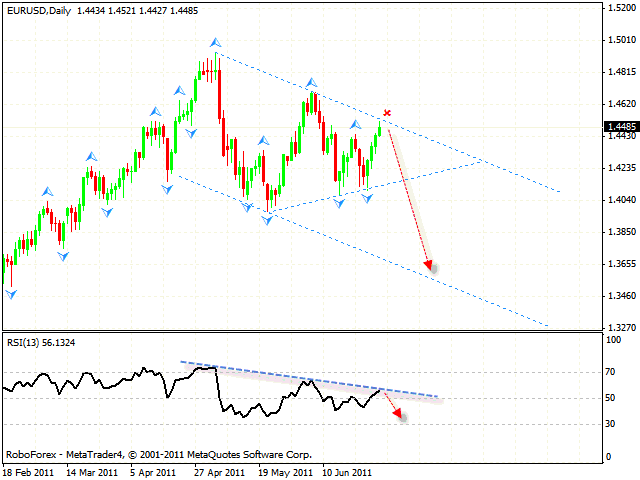 The target of the fall is the lower border in the area of 1.4170. The price testing the trend’s descending line at the RSI (which is a resistance line here) is an additional signal to sell the pair, we should expect the price to start moving downwards. But if the price breaks the pattern upwards, this case scenario will be cancelled and we will recommend you to buy Euro, but not to sell it. 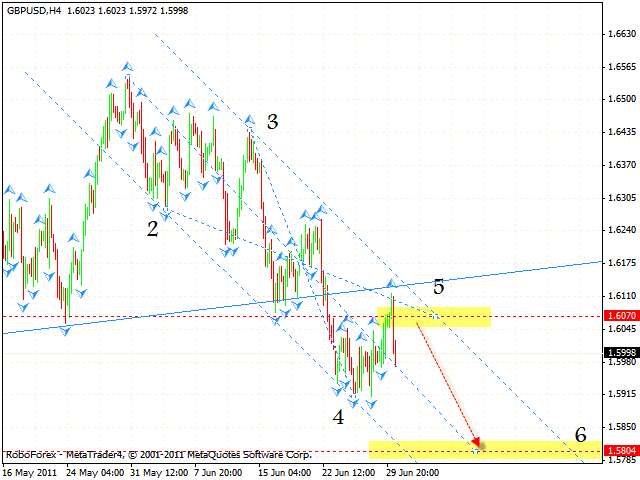 Pound is moving according to the forecast, inside the descending pattern with the general target in the area of 1.5800. We should also note that there is a possibility for “head & shoulders” reversal pattern to be completely formed at the daily chart of the pair. If it happens, Pound will fall down about 800 points. Currently one is recommended to hold short positions on the pair, but if the price breaks the descending channel and leaves it, this case scenario will be cancelled. New Zealand Dollar has grown significantly, however, at the moment the RSI indicator is facing a resistance form the trend’s descending line. One can try the tight stop sales. 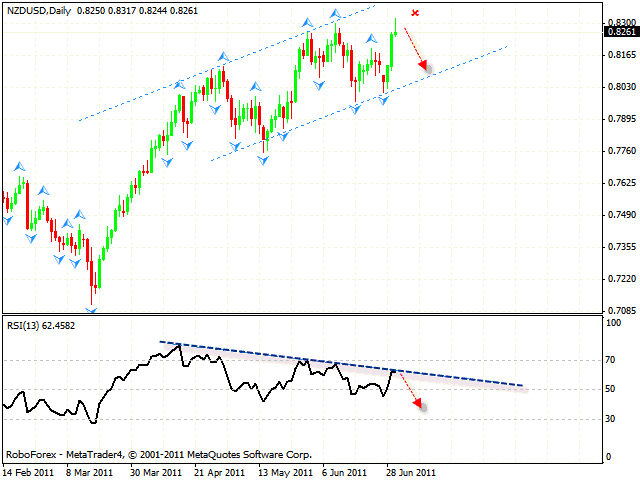 The target of the fall is the area of 0.8090. If the price reaches a new local maximum, this case scenario will be cancelled. Australian Dollar can also be sold. The price is testing the descending channel’s upper border, one can try the tight stop sales. 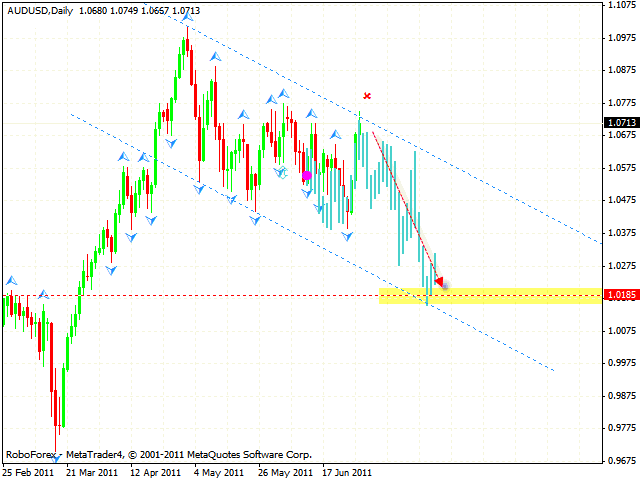 The target of the fall is the area of 1.0185. If the price leaves the channel, one shouldn’t consider selling the pair, but only buying it.